The new iWhiskyWhiskey app for the iPhone and iPod touch was released into Apple’s App Store. Since 2009, the iMalt app has been the single malt whisky lovers’ prefered app for keeping track of whisky collections and tasting notes. The all new iWhiskyWhiskey app has the same great features as the iMalt app, but the focus is on all other whisky and whiskey types than single malt. 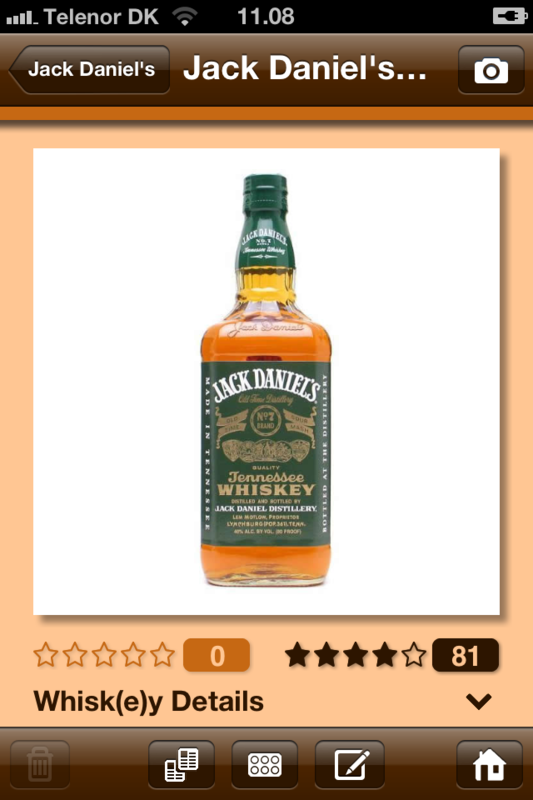 The iWhiskyWhiskey app includes more than 200 whiskies and whiskeys devided into categories based on their type. For example you will find Scotch blended malt whisky from Chivas, Irish pure pot still whiskey from Jameson, Kentucky straight bourbon whiskey from Jim Beam, Tennessee whiskey from Jack Daniel’s, Canadian blended whisky from Canadian Club and Japenese single grain whisky from Nikka. All bottles are beautifully illustrated and described in detail. You can easily add more whiskies and whiskeys yourself or you can receive them by subscribing to the iTasteNote Cloud Service.